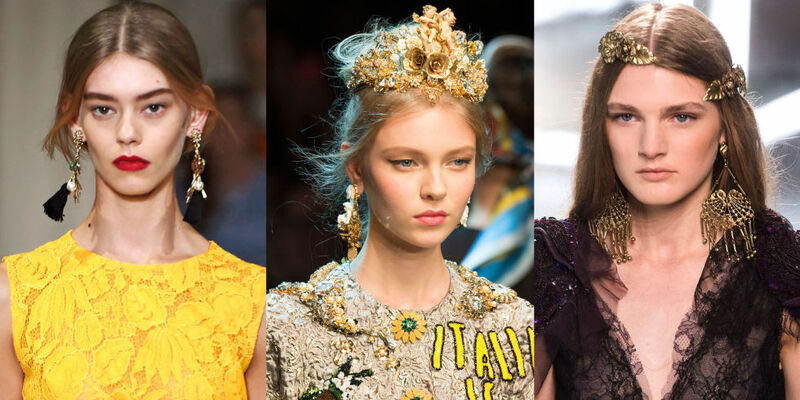 Spring has sprung and new jewelry trends are starting to bloom. 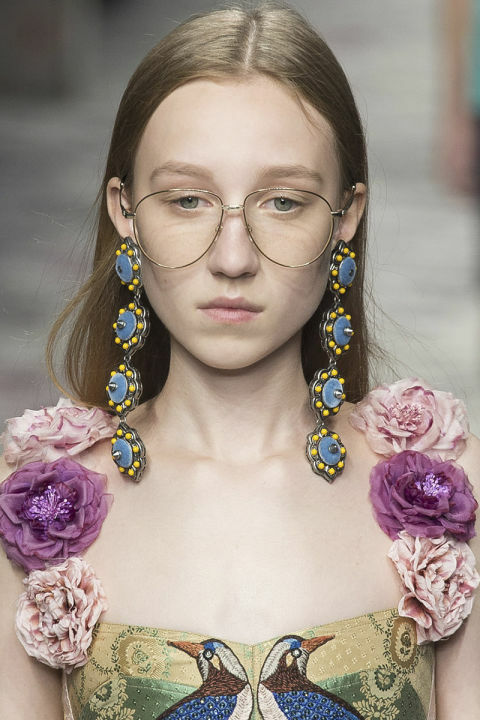 This is an exciting time to either reinvent your style or stretch your creativity to include some daring jewelry because this Spring is all about making a statement. 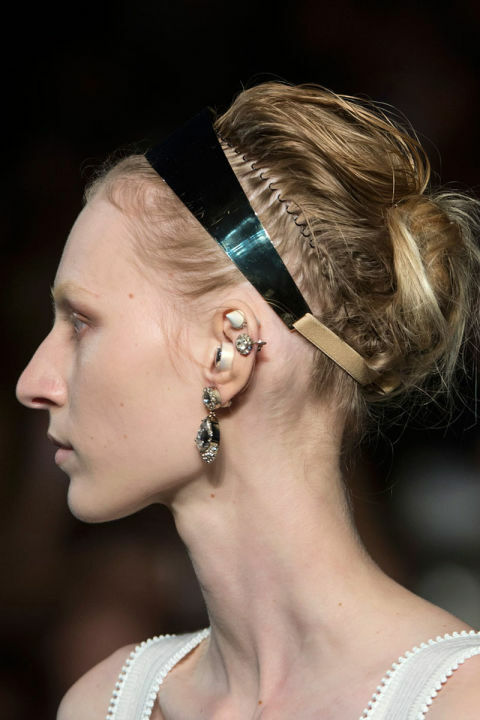 The jewelry rocking the runways this Spring are bold, spirited, and fearless. You may be thinking that some of the pieces you find on runways can be quite audacious and no one off the runway would ever be that brave to wear them, but there are some aspects that you can incorporate that will have people fawning over your line of jewelry. Let’s take a look at some of the trends and dissect what we can include in our Spring line. Ok, I started with something tame to demonstrate that you don’t have to be gaudy to make a statement. Pick a solid color for the top part of the headband and a metallic color for the strap of the headband. Have fun with it and choose bright colors to make it pop. 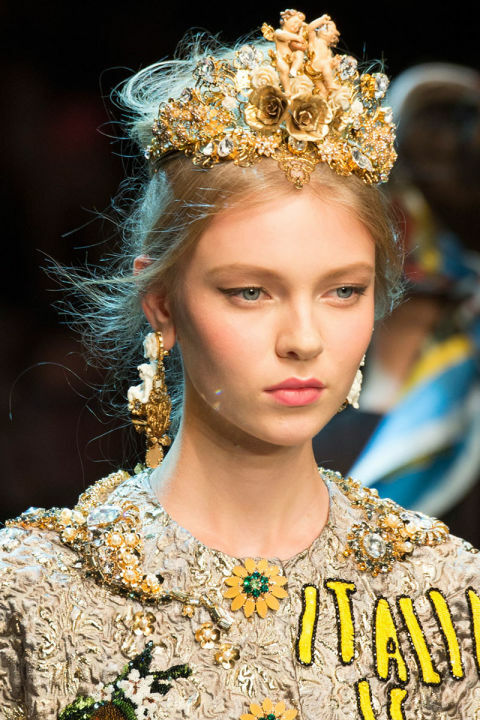 Dolce & Gabbana certainly isn’t afraid to be audacious on the runway, but then again, they’re Dolce & Gabbana. For this tiara, focus on the detail. Headbands with flowers are still in, but adding an extra element to the piece, such as the slight peak at the front of this tiara, will make your headband stand out from the ordinary flower crowns people already love to wear. This gorgeous piece demands attention and draws the eye to the collarbone area. 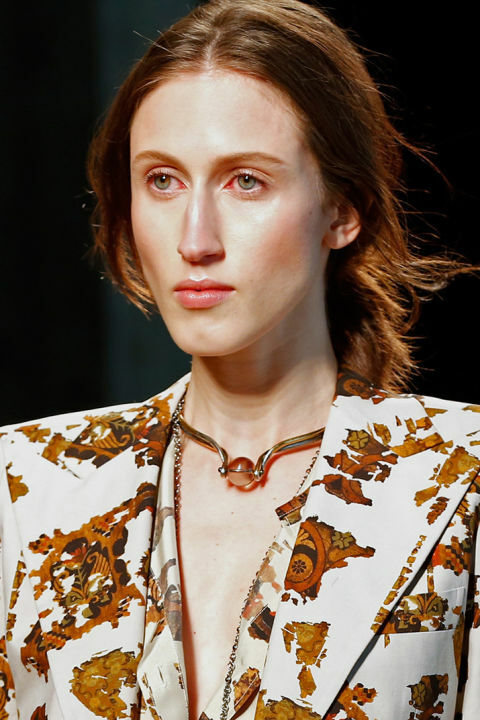 Create a short necklace that outlines the collarbone to accentuate it and tie it together with a large gem or design at the center to draw attention to the piece. Again, I’m demonstrating a simple piece to illustrate how simplicity doesn’t always mean boring. 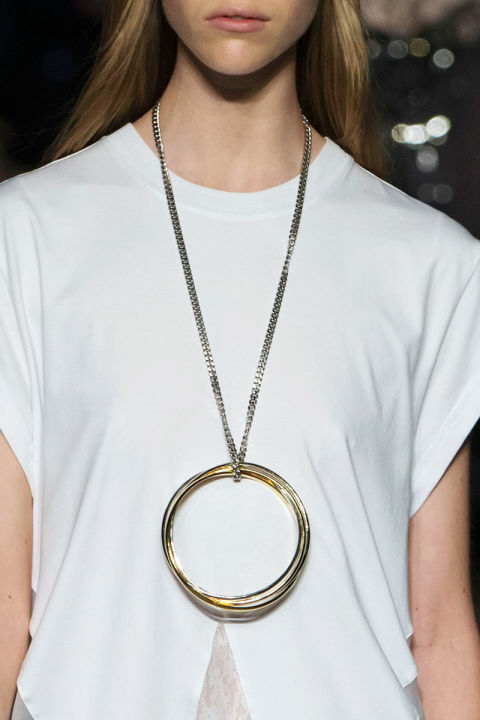 This necklace takes a large object and makes it the focal point of the piece. It’s elegant and simple, but still bold. How fun are these?! 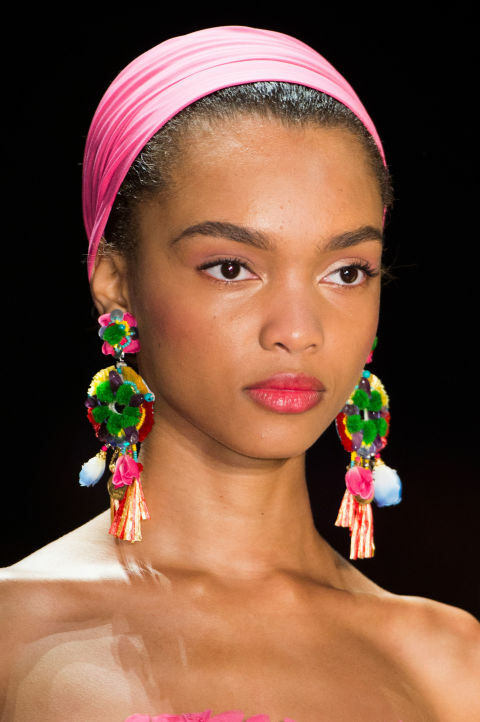 Not only do the colors make a statement, but the layers also add dimension to the earrings that you wouldn’t expect. Use this piece to let your expressive side come out and create something multidimensional. Shoulder dusters are in this season. Follow the design of the picture above or create your own style of shoulder dusters by incorporating feathers, chains, polymer clay, etc. The most important aspect of shoulder duster earrings is their length, but the design possibilities are endless. These trends are great to use as a template if you’re looking to mix up your jewelry line. They give you an idea of what “experts” are considering stylish and they can even help you step out of your comfort zone to create new, vibrant pieces. Make a statement this Spring and create something fresh.